If you want to write a family history that people will want to read, it’s a good idea to think about those potential readers before you begin. What interests and inspires them? Most genealogical researchers see their task as the pursuit of facts about their ancestors – births, deaths, marriages, children, death, occupations, and home places. Lists of facts seldom engage people. Think about history class in high school. What does engage people, even inspire them, is the drama of real people’s lives. Whether it’s portrayed in a Pulitzer Prize winning piece of historical biography like those written by David McCullough, in the avalanche of memoirs filling the New York Times Best Seller List, or less lofty prose like People Magazine or supermarket tabloids, real life drama fascinates readers. How can you capture the drama in your own family history and share it with your readers? “Begin with the end in mind,” advised Stephen Covey in his 7 Habits of Highly Effective People. Doing so may lead to an important change in the way you look at your book. Many family historians see themselves as writing a report on their genealogical research. If you think instead of you goal as creating a series of strikingly fascinating portraits of people – your ancestors – you will be headed in the right direction from the get go. If you set out to create compelling biographical sketches of your ancestors you’ll be sure to have the drama one doesn’t find in the facts of an ancestor’s pedigree chart. If you are just beginning or are in the middle of your research, you can focus on finding that drama along with the facts. If have been researching for years review all that you have found to capture the dramatic gems in your ancestors’ lives. You may even find that you want to take a second look to get more details about some of them. The basic facts – Think of all the things a good genealogist would note: full name, nicknames, date and place of birth, siblings, places he or she lived, marriage(s), children, occupation(s), date and place of death. Values – What beliefs guided this person’s life? These might be religious, political, moral or ethical. Personality traits – What kind of a person was your ancestor? Was he or she stern? Did he or she have a great sense of humor? What might his family or friends have said about him or her? Obstacles – What challenges did your ancestor’s life present and how did he or she cope with them? Historical context – How did your ancestors relate to their contemporaries? How were the influenced by or involved in events happening around them? This is an essential part of what fiction writers call world building. It’s just as important in creating engaging non-fiction. Significance – What lasting influence both within your family and within the larger world did your ancestor have? You may not be able to learn everything you want about each of these things, but the more knowledge you are able to gather about them, the more compelling a portrait of your ancestor you can create. Nancy Barnes of Stories To Tell often advises family historians to think of the stories they gather as a string of pearls. 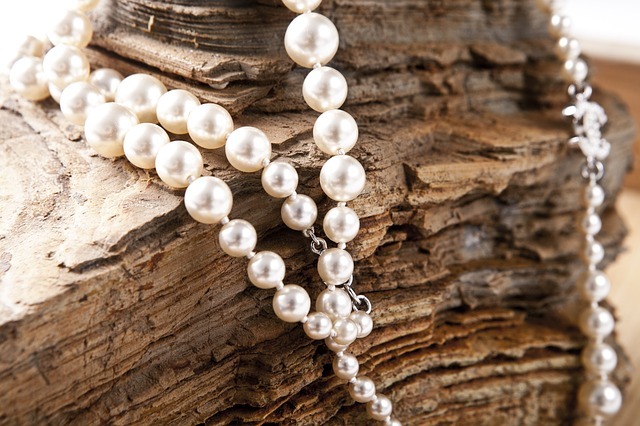 Focus on polishing one pearl at a time and they will ultimately create a beautiful necklace. Similarly, focusing on a biography of one ancestor at a time will help you to create a jewel of a family history that will draw readers in.